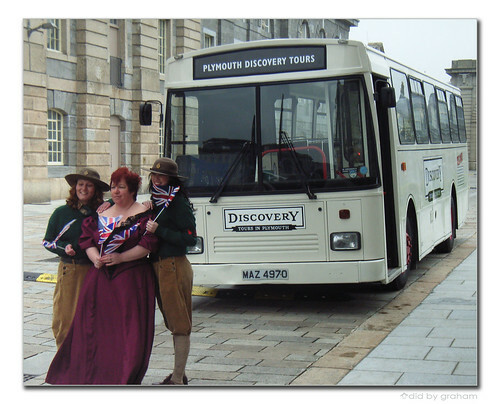 No posting yesterday as I was out at the launch party for Plymouth Discovery Tours down at the Royal William Yard. The photo above taken as they posed for the official launch photos. The company owners, guides and driver stand in front of the Leyland Leopard tour bus. Formerly YHG16V it was new with an Alexander Y type body on its Leyland Leopard PSU4E/4R chassis to Burnley and Pendle. It was later rebuilt with this East Lancs bus body. 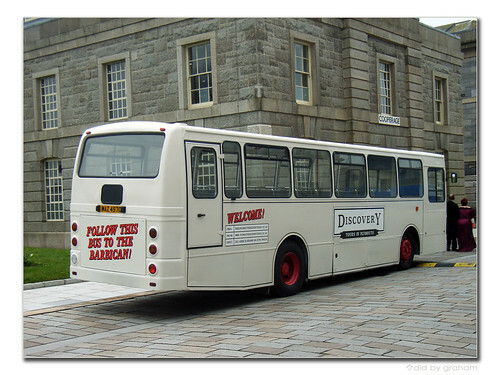 I believe it has also served with Blue Bus in Lancashire for some time. Certainly a very rare bus to be found in service these days! 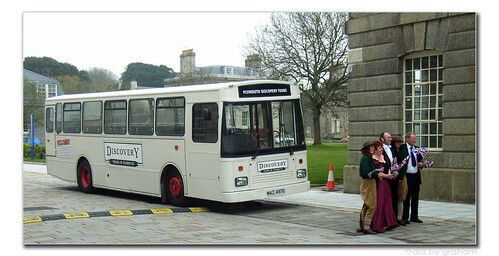 The tour itself which starts next week will be hosted by one of the two guides in uniform seen above and will also feature a DVD display on screens in the bus with the sights and sounds of Plymouth history along the route. This seems an interesting way of showing both the past and the present along the route which takes in the Barbican City Centre, Millbay, areas on its hour long route. 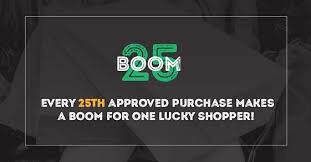 Details can be found on their web site . 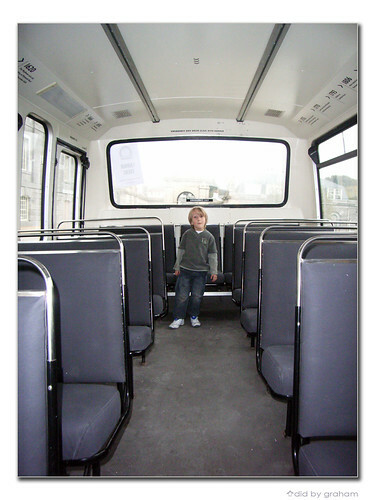 My son models the back seat in the photo below. He liked the bus a lot! It was a good launch with live music and a good fun indoor street party with most of the food having an authentic war time feel to it. Certainty haven't had spam for ages! I shall have to try the tour some time in the near future as it does look interesting. The family have clearly put a lot of thought into the whole venture so I really hope that their hard work is rewarded. If the tour is as good as it sounds then they have a good chance of success. The use of such an old bus might bring some risk but clearly a lot of money has been spent on it and the workload for the bus should be well within it capability. I guess it all depends on the marketing and a certain amount of luck with the weather always having a big say in how many tourists are out and about at any time. As I said in a previous post anything which promotes Plymouth and its history can only be a good thing. 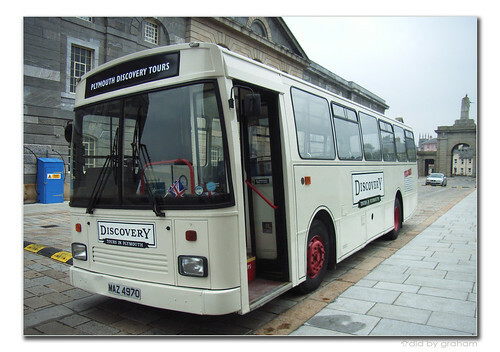 a really good idea, a city like plymouth certainly needs a city tour, good luck to then i say and yes the bus is a classic, but thats the point, not very disabled friendly is it? ?